Apparently, strays often wade into the Kasadi River for food, and come into contact with whatever pollutants are in the water. The Taloja area is home to approximately a thousand pharmaceutical, food and engineering factories, some of which dump all kinds of chemicals into the river. In this particular case, a company was using blue dye for multiple purposes, including making detergents, but according to the local pollution control board, it was doing in an area cordoned off from the public. “We have given the company seven days to clear the pollutants from the site. If it is not removed then we will issue a notice,” Hajare added. 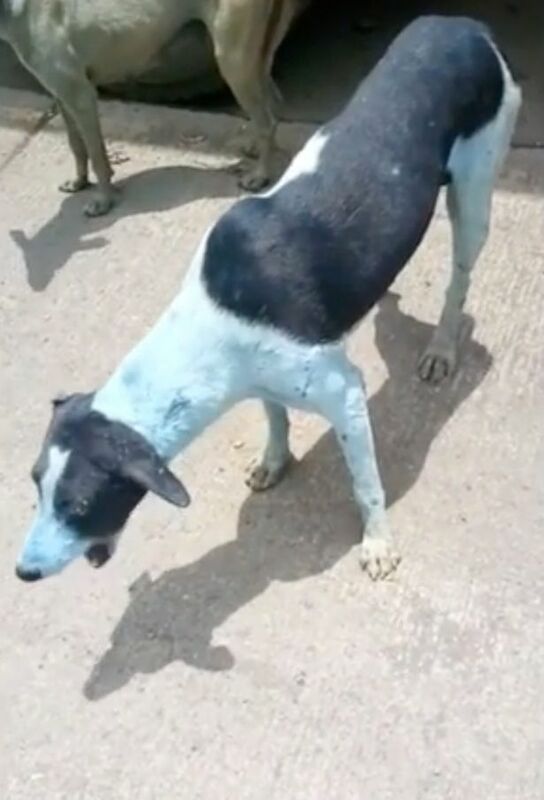 “We have only spotted blue dogs so far. We do not know if birds, reptiles and other creatures are affected or if they have even died owing to the dye discharged into the air,” Arati Chauhan said, adding that his animal protection cell has already filed a complaint with the pollution control board. 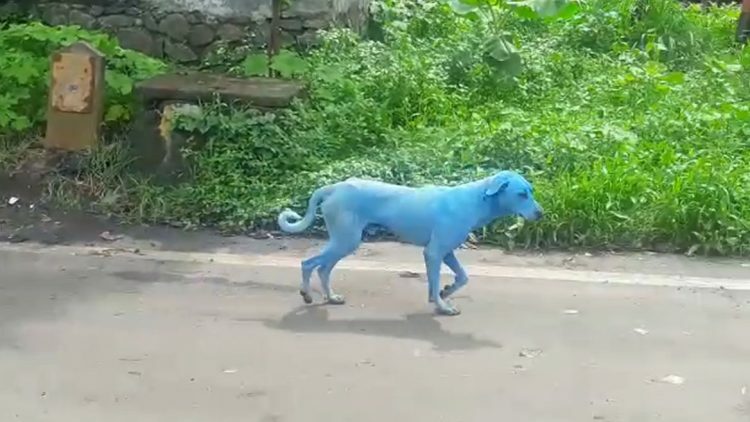 Believe it or not, this is not the first time blue dogs have been spotted in Mumbai. 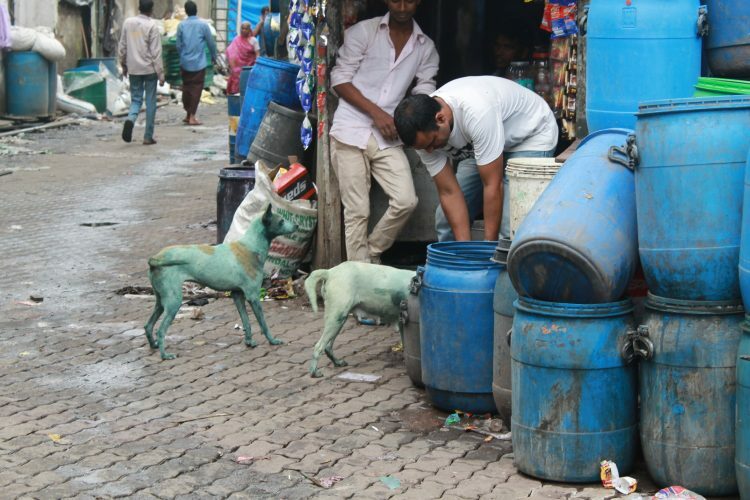 Back in 2013, blogger Chelsea Rudman also posted photos of a couple of dogs with blue fur, in Dharavi. A dye factory was to blame then, as well.